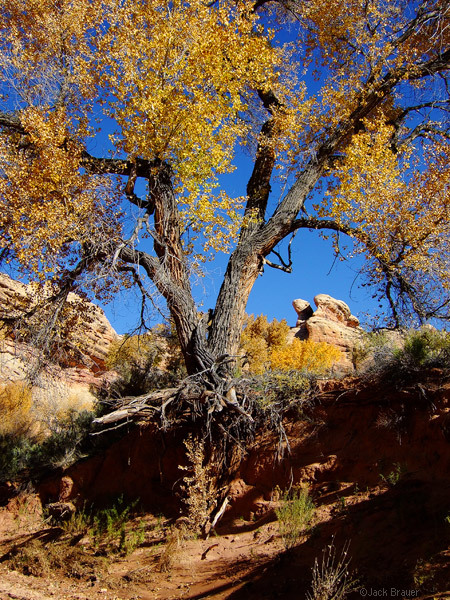 This November I went on a four-day backpacking trip into the Grand Gulch, a major canyon that cuts through Cedar Mesa in southeast Utah. 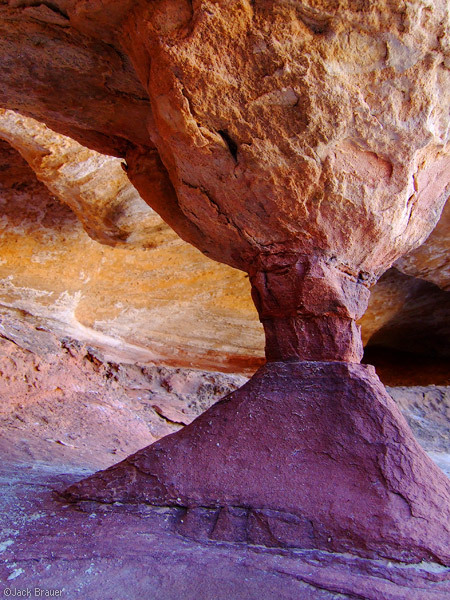 Like many canyons in this region, Grand Gulch is full of hidden Anasazi ruins and petroglyphs. The canyon geology is so surreal to begin with, and these mysterious ruins add to the wonder. 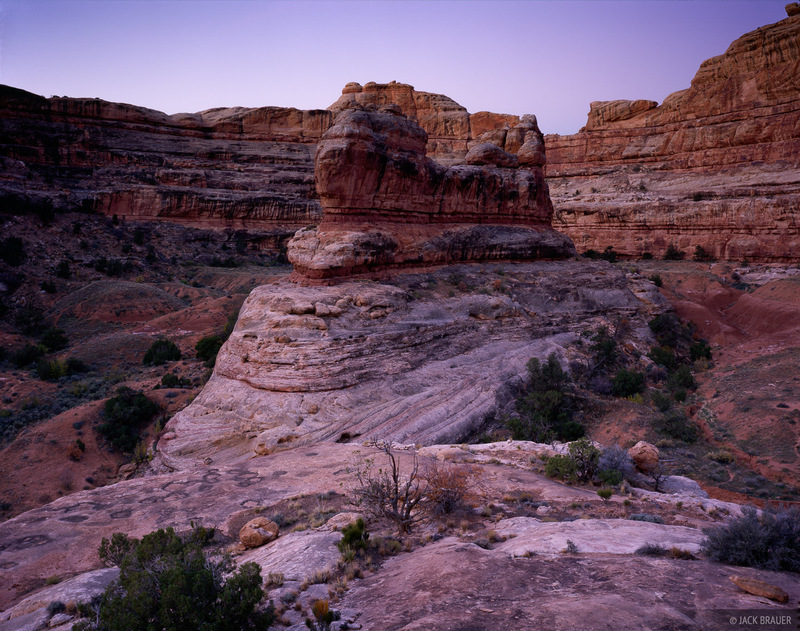 On the first night, I hiked across the flat mesa from the parking area to the canyon rim at the Government Trail. I camped on the slickrock with views into the canyon depths which I would be hiking down through soon. Photo © copyright by Jack Brauer. This poor tree is literally on its last legs. Photo © copyright by Jack Brauer. 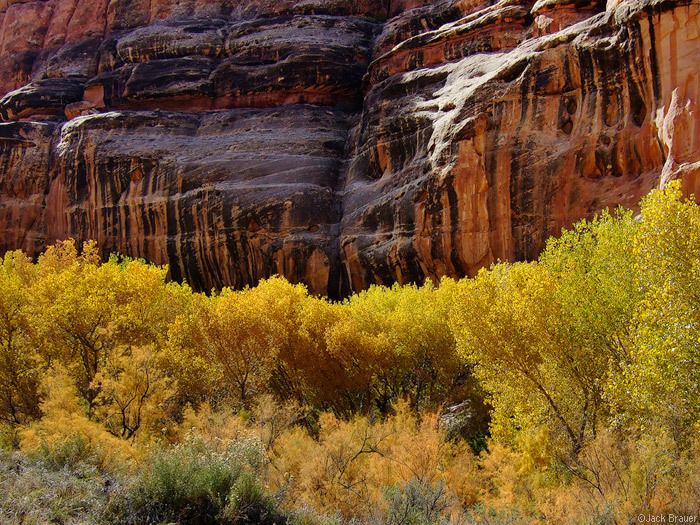 Autumn colors in the canyon bottom. Photo © copyright by Jack Brauer. 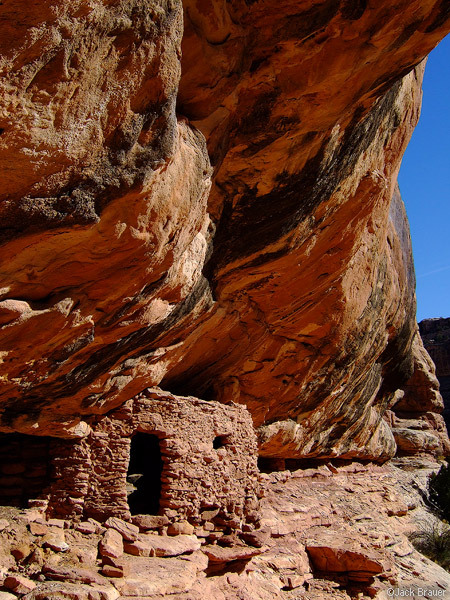 This Anasazi ruin, the Bannister House Ruin, was a highlight of the hike through Grand Gulch. There is a dependable spring right below the ruin, which probably made this a desirable site in prehistoric times. This site has two buildings: the lower portion is a circular kiva with a still-intact wooden roof; the upper part, which is inaccessible, has a wooden bannister along the ledge. Photo © copyright by Jack Brauer. 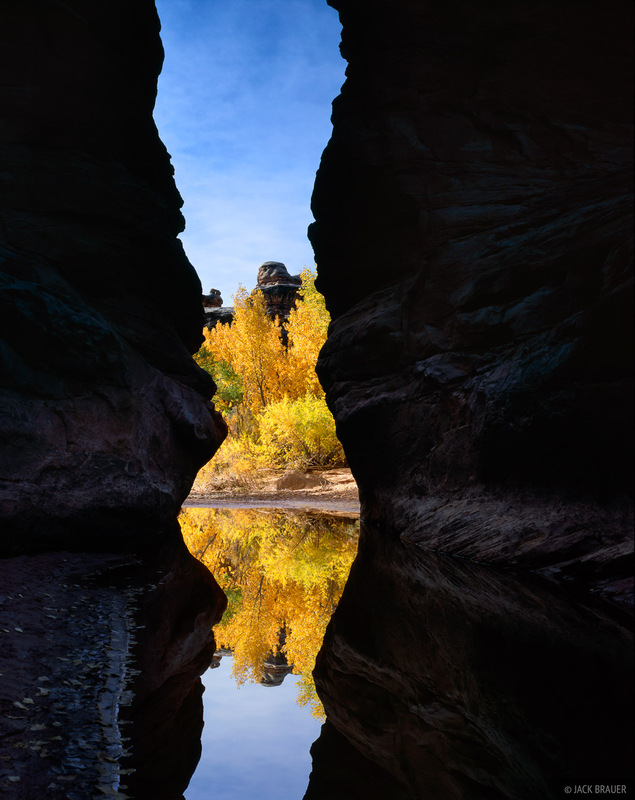 The Narrows, in Grand Gulch, Cedar Mesa region - November. Photo © copyright by Jack Brauer. Like most other ruins I saw in Grand Gulch, I found this Anasazi ruin on accident. I was reading my map incorrectly, and left the trail to try and find a spring that was labeled on the map... but I found this ruin instead. I can only wonder how many ruins and petroglyphs I passed nearby without seeing... Photo © copyright by Jack Brauer. 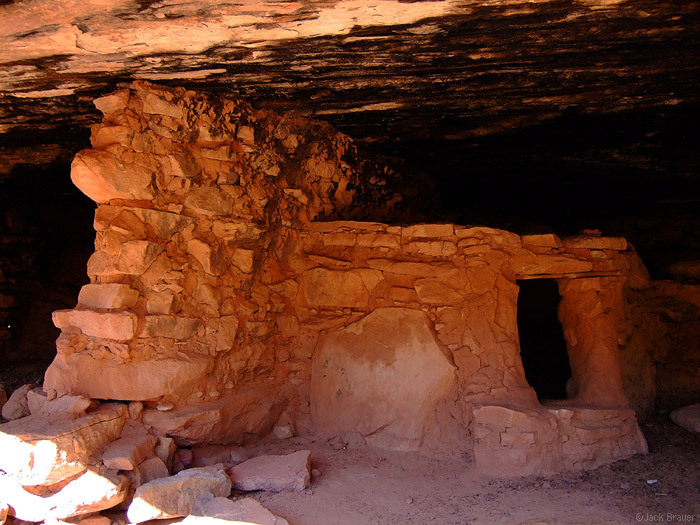 Another Anasazi ruin. Most of these ruins are pretty tiny... for example if you wanted to go inside here, you'd have to crawl and wiggle your way through that door. Of course entering the ruins is highly discouraged, to preserve the archeological value. Photo © copyright by Jack Brauer. 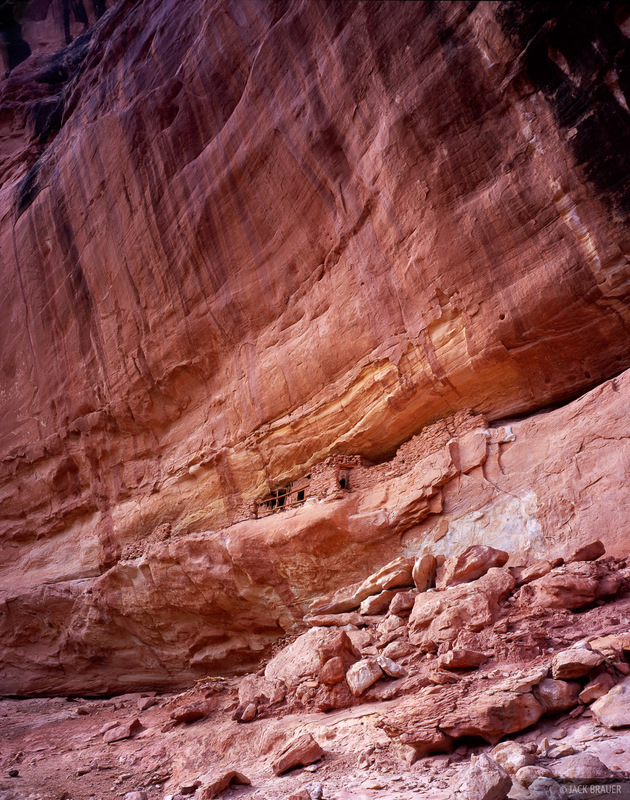 Check out my Utah gallery to see more photos from the canyonlands of Utah. 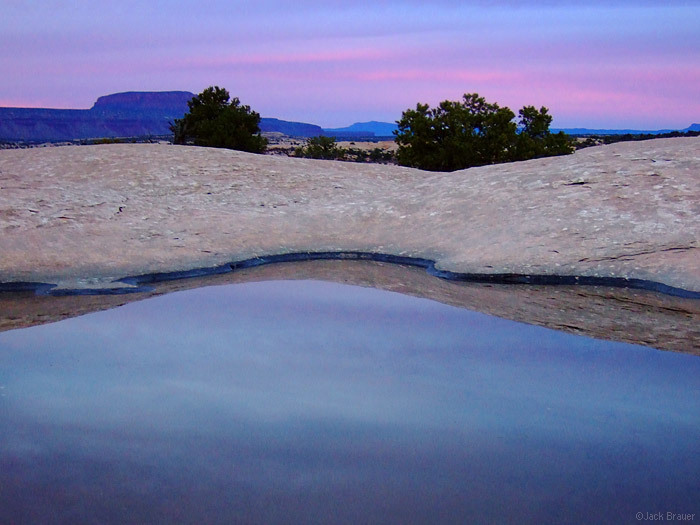 Posted in Backpacking & Trekking, Canyons & Deserts and tagged Utah, Grand Gulch, Cedar Mesa, Bears Ears.